When the baby books suggested I might feel the strong urge to clean the house or buy and assemble furniture around the fifth month of pregnancy, the only urge I felt was the one to get out and have a stiff drink. With the latter being out of question, I spent my free time in the cinema, meeting friends for lunch or going for a massage. I managed to make the most of the last few weeks I had all to myself for the next 18 years to come. So when little L was born, the nursery did have sanded floorboards and walls, but was still abused as our storage/coat room. Over the last six months, the tiniest room in our house turned into the prettiest with the best view over the back garden. 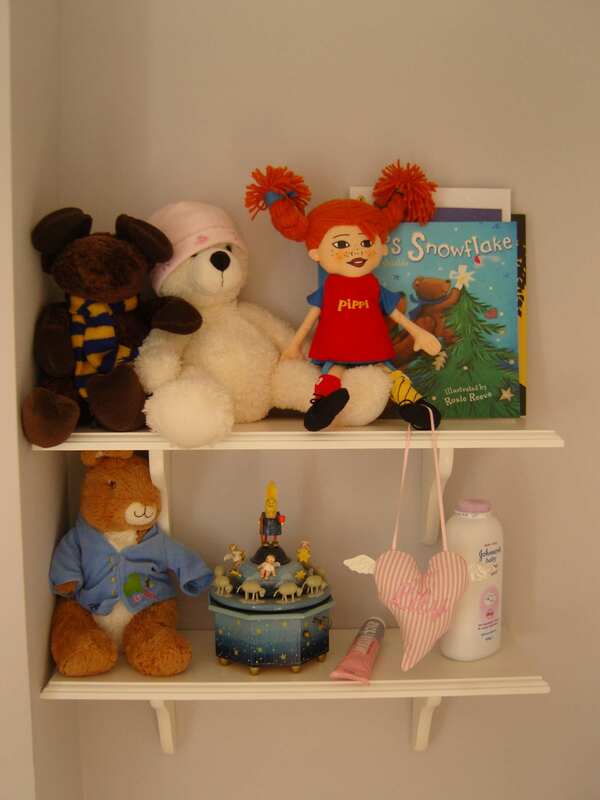 We chose neutral colours and monochrome walls, as we thought her clothes and toys would add enough colour to the rather small room. The walls are painted in the same grey with lilac shade all the walls in our house are painted. We decided to go for a cotbed that could easily be turned into a junior bed, once little L would be a bit bigger. With the room being so tiny, having a changing table was out of question. Instead, we got a cot top changer that easily disappears behind the bed when not in use. 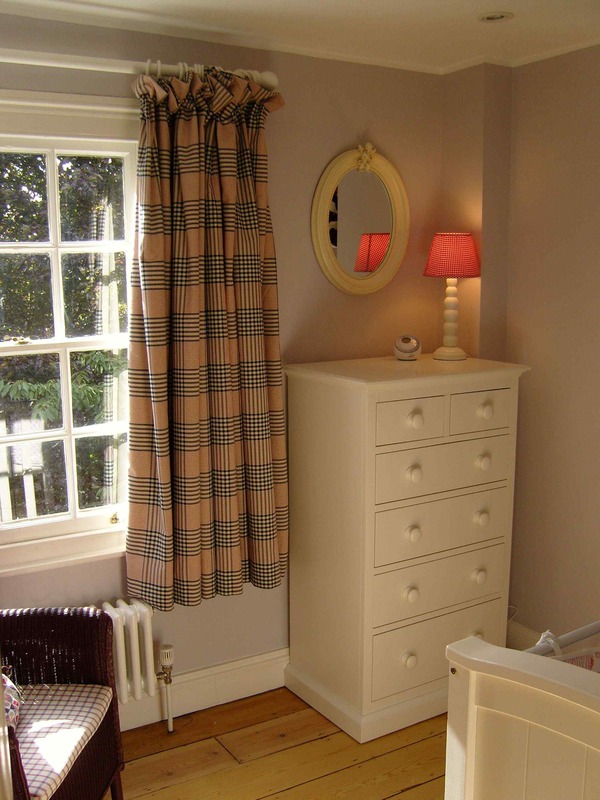 To accommodate all the lovely baby clothes, we were looking for a narrow but tall chest of drawers. Luckily, The White Company does a lovely piece of furniture called Tallboy. 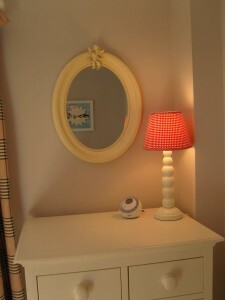 The little lamp is from the White Company, too. We found the mirror in a kitsch shop in Islington – very helpful to check if your baby has fallen asleep on your shoulder and is ready for the transition to her cot. Behind the door, we put up two peg rails. One for me to hang her Sunday dresses. And another one in little-L-friendly height. 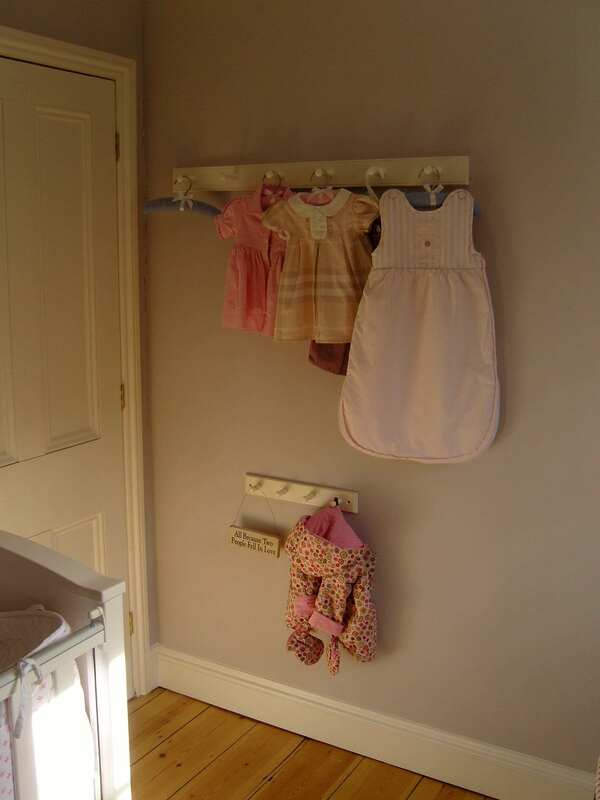 Peg rails can be quite pricy for what they are – buy them cheap at your local DIY store and paint them yourself. To complete the look, we got these lovely pictures. They are part of a the lovely children’s range at King & McGaw, where you can even order them to be delivered in customised frames. As a reward for bearing with me through my stint in interior decorating, I am pleased to offer Met Mum readers 25% off at King & McGaw. Just enter MetMum25 at checkout. The code is valid until 30 November 2009. And NO, this isn’t a sponsored post. I just happen to know someone who works there. What a beautiful room – little L is a lucky girl and i love the peg rails idea! I think I’m in love with your interior design skills. Very nice- the best things take time to get right. Impressed how you’ve got everything in- our childrens rooms are larger but much more cluttered! So pretty! Isn’t it interesting that the children often end up with the prettiest room? Ours, too! @Kim: I think you’ve made my day. @Alex: I know how to get rid of clutter from nurseries – just put it in your own bedroom. A beautiful room. You have worked wonders in a tiny space. Love the peg rail idea. The artwork is great too. That’s beautiful – I’m off to have a squizz at that site ! What a sweet room! You did a wonderful job decorating. Love the curtains. I’m very impressed – it looks great. I hope LL appreciates it! @Richa: Thanks. Nice page you have yourself! @Muddling Along Mummy: Thanks. Don’t get lost on that side. They have tons of stuff. @Jen: Imported from Switzerland. 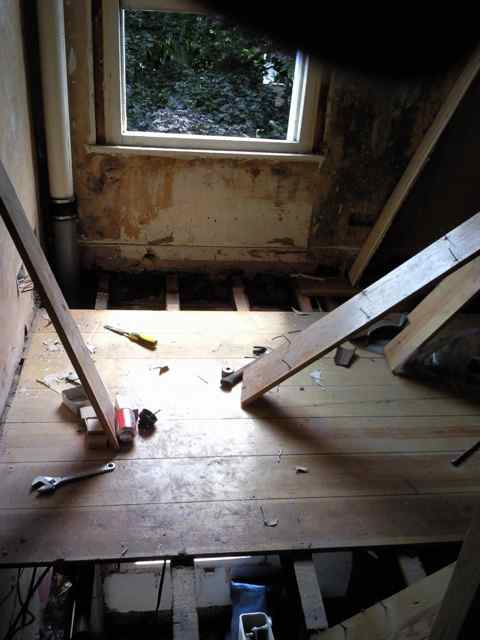 We had quite a bit of that fabric and now you can find bits of it all over the house. @Lulu: Thanks. So far she seems happy. Except from when I put her down for a nap and she’s having other plans. Gorgeous room! I love the little peg rail for her to hang her own coat on. It’s so exciting decorating a nursery. Wow! 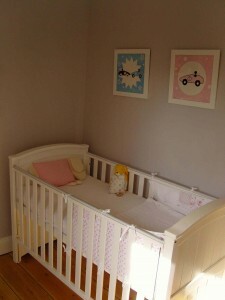 I love love love the nursery – it is absolutely stunning. You have really great decorating style. I like all the furniture pieces (esp. the White Company – how I miss that store!) and accents. What a lucky lady little L is! Oh so pretty! I look forward to the day that Piran finally moves into his own room so I will stop using it as storage after spending so long on it before he was born! 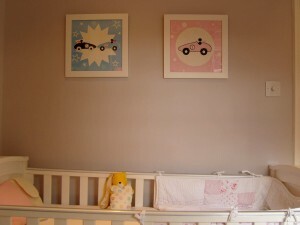 Maybe there is hope for me yet – the nursery for our 3 month old looks similar to your first photo! 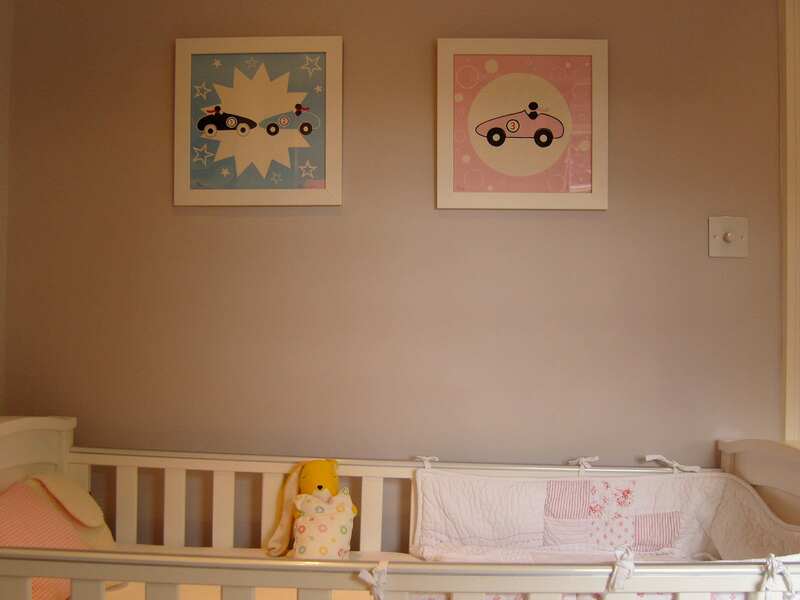 I love neutral walls with bright artwork for a nursery – it looks fab, well done! the nursery is beautiful. I would like to have a little nap in there myself! Wonderful. I wish I had the designer mind for something so beautiful. 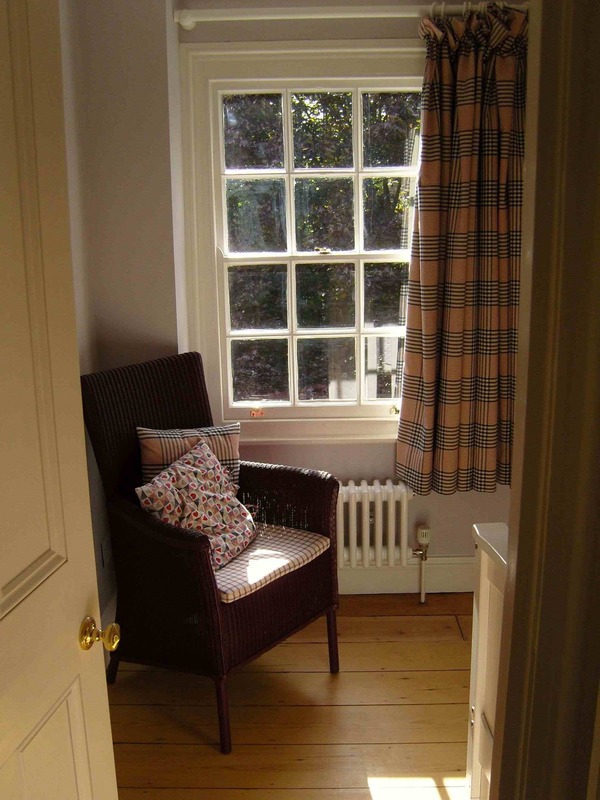 We never did anything to the room that is the nursery (which we only had after moving when Cubling was 7 months), I keep meaning to but I’m rather uninspired when it comes to interior design. 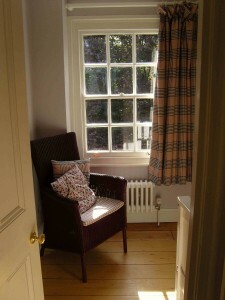 It must be a fab feeling having transformed the room from scratch! Previous PostCareful ladies, it’s lurking within!